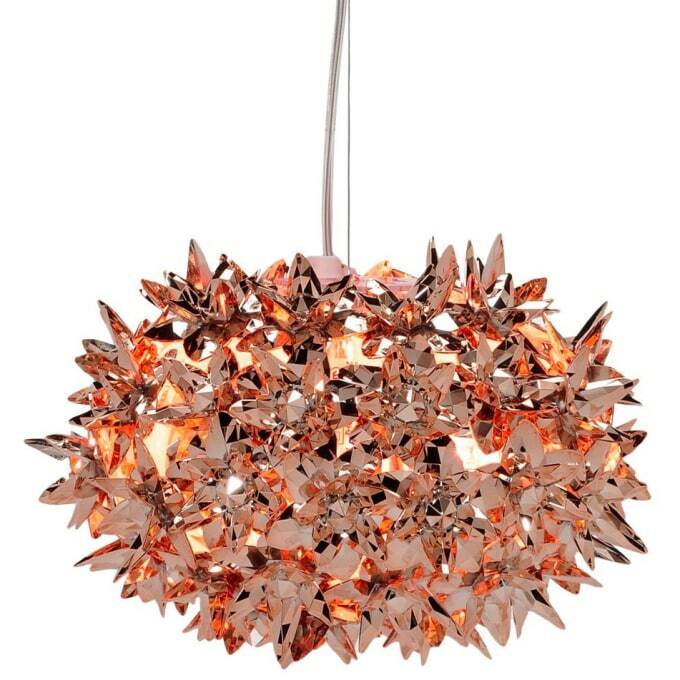 Small floral pendant light with filigree metallic blossoms. Delicate flower petals twine around the luminaire of the filigree pendant light Bloom, forming a shining, shimmering sea of ​​flowers crystal luster like. Originally in clear, white or two-tone design in mint and lavender colours, there's the Bloom pendant light now with new, fascinating brilliant blooms in a precious metal look - gold, bronze, copper as a single colour or in combination. Hard to believe that this still is a lamp made of polycarbonate - the unique Kartell metallic surface coating emits sensual elegance and a touch of pure luxury. Do you have a question about "Bloom (metallized)"? How can we contact you?